Have you seen The Master yet? 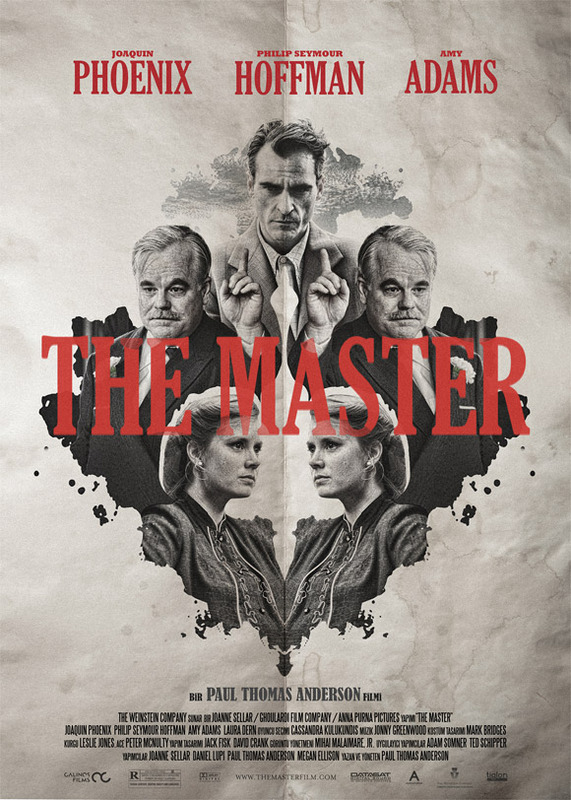 We love featuring great poster art, and this time it's another brilliant piece for Paul Thomas Anderson's record-breaking new film The Master, starring Joaquin Phoenix. This film is racking up some of the best posters of the entire year, between the other rorschach-like painting, and the original kaleidoscope design as well. These two posters from Turkey were debuted by The Film Stage, and play again with that rorschach idea but incorporate some beautiful artwork of the main cast - both in color and B&W. I honestly prefer the B&W version overall, it feels like a better fit for this film. Take a look below! Thanks to The Film Stage, we've got a look at these two beautiful posters. This one is the one I like the most. Here's the other alternate version of the poster in full color. The title placement is also moved up in this one. PTA's The Master is out in theaters, and we've been discussing it ourselves in video blogs and other posts, like this one about 70mm showings in NYC and Jeremy's review. You can also watch the Cannes sizzle reel. 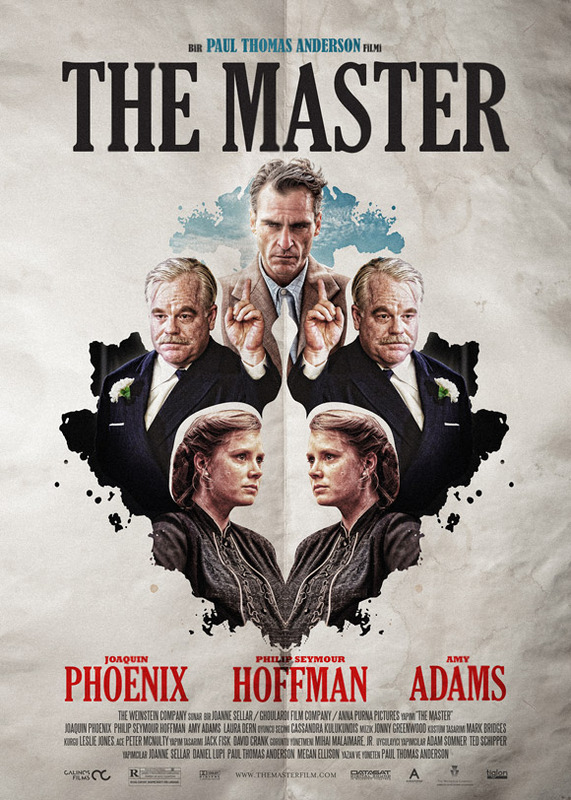 Paul Thomas Anderson (the man behind films like Boogie Nights, Magnolia, There Will Be Blood) wrote and directed The Master. The film follows Lancaster Dodd (Philip Seymour Hoffman) a charismatic leader who creates a new religion in the 1950's and his main disciple (Joaquin Phoenix), an alcoholic drifter named Freddie Sutton who becomes Dodd's closest follower, only to later break away from his teachings. The Master is now playing all over the country and has some exclusive 70mm screenings in various markets. Like the colored one better. *comedy drum roll* He'll be here all week, folks! I'm black, btw.